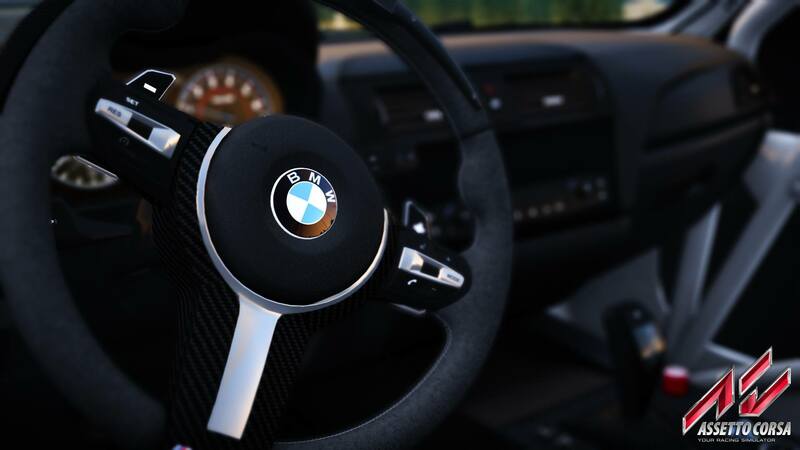 The Beamer is the first car from the Dream Pack have detailed screenshots and they look amazing! 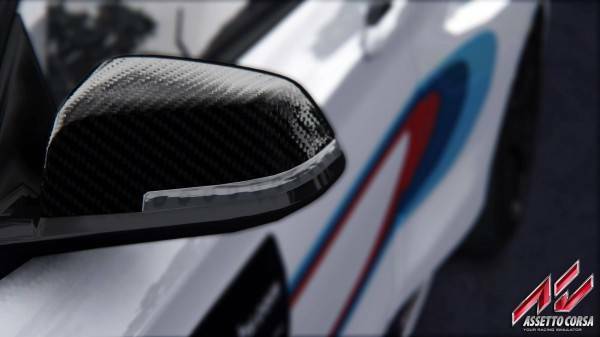 The shaders and the reflections are incredible and the its hard to tell its a modeled car! Pretty impressive for Assetto Corsa but would you expect anything less than the highest quality...the body and the liveries on their cars makes my jaw drop. The drivers will have a blast driving it around Nurburgring Nordschleife. 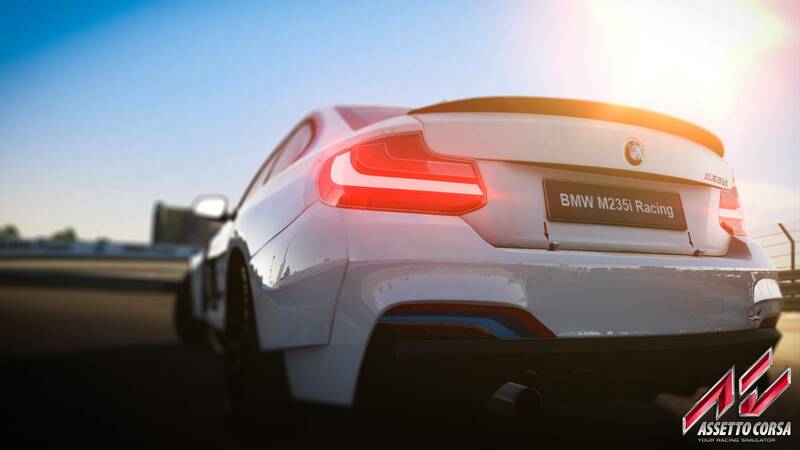 The BMW is propelled by the most powerful petrol engine developed so far for a BMW M Performance Automobile: a six-cylinder in-line engine with M Performance TwinPower Turbo technology. With a capacity of 2,979ccm, the racing version is capable of generating 333hp (245kW). 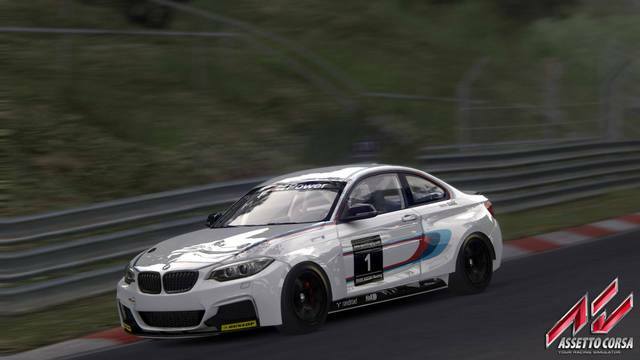 Built by BMW Motorsport, the M235i is BMW’s newest offering in customer race cars, giving participants in series such as the VLN championship a solid car to compete with. Powered by a twin-turbo inline six-cylinder engine providing 333hp, the car is equipped with full racing features, including roll cage, traction control, diffuser & carbon-fibre aero parts. 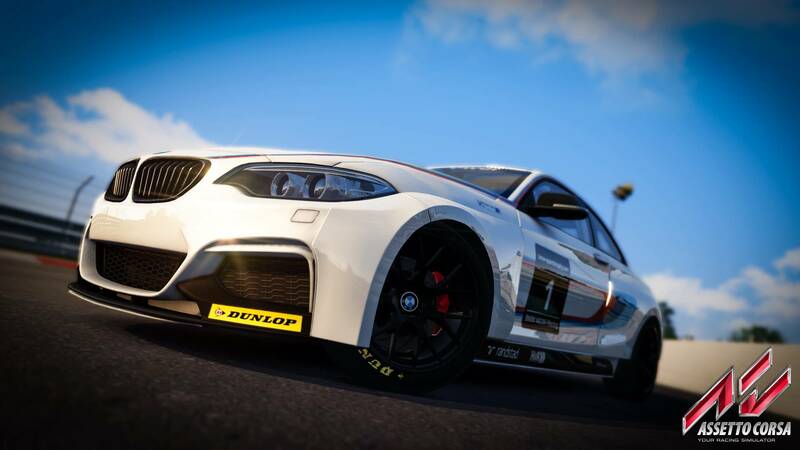 Motorsport-specific driving aids such as ABS, DSC and traction control ensure that the motorsport newcomers can also handle the BMW M235i Racing surely and safely. The car also comes with mechanical limited-slip differential, which is also available for the BMW M235i Coupé in the original BMW Parts range. The racing car is also fitted with features such as the FIA-certified safety cell and the modern safety tank. Not surprisingly, Kunos is still keeping quiet on details surrounding the Dream Pack release date and how much it will cost. They have stated that it is in final development and beta testing, so it should be here sooner than later. They also added that additional features and updates will be coming online with the release of the Dream Pack. 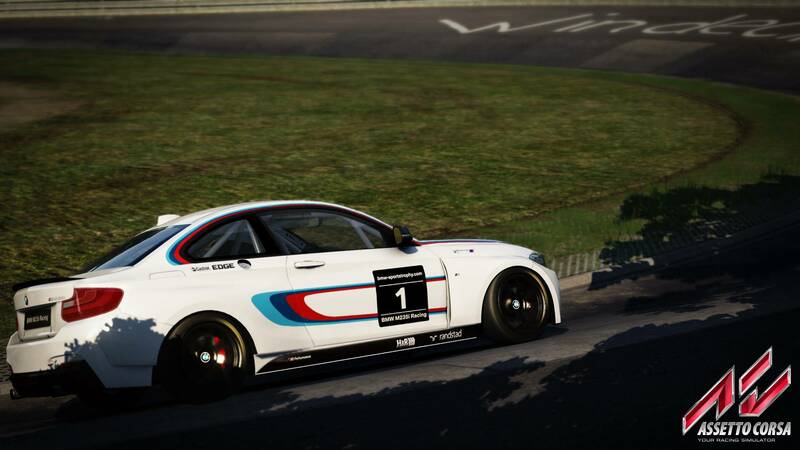 Kunos Simulazioni has released a new preview video of the BMW M235i Racing that is part of Assetto Corsa’s upcoming “Dream DLC” pack. Pack will feature the Nordschleife official circuit (for the first time fully based on Laserscan technology) as well as ten new cars. Enjoy!